As an elder law attorney, I regularly work in the State Medicaid programs that provide long term care benefits. I categorize these programs primarily as institutional Medicaid and community waiver Medicaid under the MLTSS Program (Managed Long Term Support Services). Institutional Medicaid covers long term care in a nursing home. New Jersey is a no “maximum income limit state with a medically needy program”. What this means is that we have two (2) institutional Medicaid programs within the main institutional Medicaid program. Confusing isn’t it? The first program is the “Medicaid Only” program which is for residents who have income below the maximum income limit (currently $2,205.00 gross income per month in 2017-2018). For those with income greater than $2,205.00 (even by $1), there is the Medically Needy Waiver program provided the applicant does not have additional income which exceeds the Medicaid reimbursement rate (the rate that which Medicaid pays the nursing home which is generally between $5000.00 and $6000.00 per month. The community waiver program(s) that New Jersey elder law attorneys frequently work in are for the long term care of elderly persons. These programs have been rolled into a program called MLTSS. These programs include Assisted Living Medicaid and Home Based Medicaid. There are many other smaller Medicaid programs that are very infrequently used. It is important to understand that no 2 Medicaid programs are exactly alike as far as the rules and regulations are concerned. There are many similarities. But, there are also many differences. One thing that is common to all New Jersey Medicaid programs is that Medicaid is a needs based program, meaning that one has to meet certain financial requirements in order to be eligible. There is an income limit test plus a maximum resource test. One more point to consider is that Medicaid is a combination federal/state program. Congress passed some basic laws and has allotted money to New Jersey if it offers Medicaid to certain eligible residents. The state must follow these basic rules but New Jersey is responsible to administer its own Medicaid program. It is also free to offer additional Medicaid programs beyond what the federal government requires. Federal Law has led to many variations from state to state when comparing Medicaid programs and how the rules are applied. For example, New York’s Medicaid programs differ in very significant ways from New Jersey’s Medicaid programs. Because the federal government provides no oversight to be sure that its rules are being followed, in some cases the states blatantly ignore those rules. It is left to the elder law attorneys to challenge the State when it flagrantly disregards the clear law. Contact me personally today to discuss your New Jersey Medicaid eligibility matter. I am easy to talk to, very approachable and can offer you practical, legal ways to handle your concerns. You can reach me toll free at (855) 376-5291 or e-mail me at fniemann@hnlawfirm.com. Annuities are really confusing. But in today’s medical world, you may hear that annuities can be “Medicaid friendly.” What exactly is a “Medicaid friendly annuity”? Simply stated, they are funds converted into an annuity that Medicaid treats as an exempt resource and only as income which allows for (sometimes) immediate Medicaid approval for nursing home, assisted living and home based care. Under New Jersey law, a traditional commercial annuity does nothing to protect assets from the cost of long term care. In fact, without careful planning, simply investing in an annuity will result in the unnecessary loss of assets and a denial of Medicaid benefits. Understanding why this is requires some understanding of estate planning, elder law, and annuities. By taking the time to understand annuities you can easily save tens if not hundreds of thousands of dollars. Planning for disability will greatly increase the likelihood of having something to pass on to heirs, while at the same time reducing stress and maximizing one’ own independence. What is a Commercial Annuity? 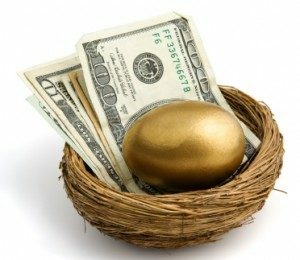 Annuities can be either assets or income streams. Alone that doesn’t mean much. Stay with me. When initially purchased, most annuities are like certificates of deposit with a longer term and a greater penalty for early withdrawal. Such annuities are assets and are said to be “deferred “or immediate. An immediate annuity means money can be taken out right away. Deferred annuities do not pay out interest right away. I continue our discussion on annuities in a future post(s). Contact me personally today to discuss your New Jersey Medicaid matter. I am easy to talk to, very approachable and can offer you practical, legal ways to handle your concerns. You can reach me toll free at (855) 376-5291 or e-mail me at fniemann@hnlawfirm.com. I read an interesting case, which frankly brought up an issue I had not contemplated which is; must a medical service provider (i.e., a doctor, hospital x-Ray technician) bill a Medicare/Medicaid patient directly for services etc. rendered rather than Medicare or Medicaid directly? I pretty much assumed that if you are eligible for Medicare or Medicaid and receiving services, there would be no reason for a nursing home or other medical provider to bill anyone but Medicare/Medicaid, otherwise, the provider would go unpaid. Apparently, in this case, the patient was a plaintiff in a fairly substantial personal injury lawsuit and the hospital billed the patient directly rather than Medicaid to which he had become eligible after the lawsuit was filed which brings us to the origin of the conflict. The article is interesting because it lays out the circumstances under which medical providers can and cannot privately bill individuals for medically related services rather than Medicare/Medicaid. I have given you excerpts of the opinion for your review. Federal Medicaid law precludes direct patient billing in specific instances. Section 1396a(a)(25)(c) of the law prohibits medical providers from “substitute billing” and “balance billing”. A medical provider engages in substitute billing when it already has accepted payment from Medicaid but tries to refund the payment in order to bill the patient directly, usually because Medicaid reimbursements are often much lower than the provider’s “customary fee[s],”. “Balance billing occurs when a provider accepts payment from Medicaid and then seeks to recover from the patient the balance between that payment and the customary fee.” Thus, § 1396 a(a)(25)(C) becomes relevant once the provider has billed Medicaid and accepted payment for services proved to be beneficiary. The law does not bar a provider from taking a chance that a Medicaid-eligible patient has a non-Medicaid source of payment for the medical services rendered. The provider may opt to attempt collection directly from the patient or a liable third party instead of seeking a certain but likely reduced payment from Medicaid. To discuss your NJ Elder Law Medicare and/or Medicaid matter, please contact Fredrick P. Niemann, Esq. toll-free at (855) 376-5291 or email him at fniemann@hnlawfirm.com. Please ask us about our video conferencing consultations if you are unable to come to our office. Democratic candidate for governor Fred Hubbell, left, listens as Mid-Iowa Community Action Health Services Director Gloria Symons makes a point about Medicaid reimbursement at a meeting Friday in the public library’s conference room. Democratic candidate for governor Fred Hubbell got an earful from one local provider who serves a large number of Medicaid patients. Substance Abuse Treatment Unit of Central Iowa Executive Director Vicki Lewis called the state’s Medicaid program, run by two managed care companies, “a disaster.” Hubbell met with representatives from SATUCI, Mid-Iowa Community Action and Center Associates Friday at the Marshalltown Public Library. He asked them to tell of their experiences in dealing with the two managed care companies hired by the state to run the state-funded Medicaid program. Because of the kind of clients served and agency services provided, the three had equally different levels of experience. One common denominator is that they are not-for-profit, and rely on prompt and accurate reimbursements from the managed care companies. Medicaid privatization as it is now known was established in 2015 by former Gov. Terry Branstad. Branstad eliminated Iowa’s state-run Medicaid organization and replaced it with oversight from three private managed-care companies. He and many Republican legislators claimed they would be more cost-efficient in running Medicaid, theoretically saving tax dollars. Initial estimates were savings of $100 million with no reduction in Medicaid services. The $100 million was later revised to $50 million. The three MCOs were Amerigroup Iowa Inc., AmeriHealth Caritas Iowa Inc. and United Healthcare Plan of the River Valley Inc. AmeriHealth departed, leaving Amerigroup and United Health Care. Lewis said SATUCI found it necessary to hire an additional employee to manage billing because the MCO system remains complex. In previous meetings, Lewis said SATUCI derives significant amount of overall agency income from Medicaid reimbursement. SATUCI provides substance abuse disorder treatment outpatient and education in Hardin, Marshall, Poweshiek and Tama counties. 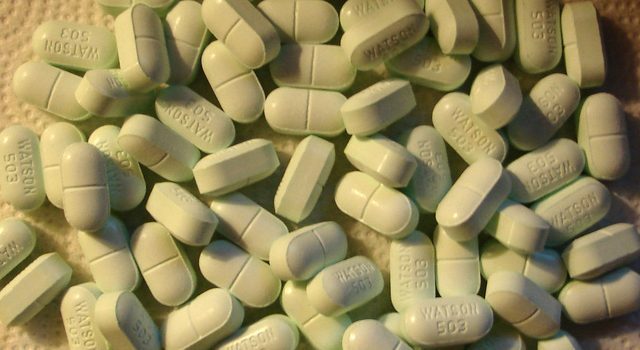 Rates substance abuse agencies may charge for care were set 20 years ago by Magellan, which significantly compounds the problem, Lewis said. Lewis predicted that some agencies will be forced to close. Hubbell said some have. Symons said at one time MICA was being reimbursed $700 for an individual’s care. The MCOs have since reduced that to $400 or $300 per person. Symons said approximately 2,000 persons were served by MICA annually. The managed care companies have been in the news recently, as state officials recently authorized a 7.5 percent raise to Amerigroup and United Health Care. about $103 million more than last fiscal year, according to the Des Moines Register. The new agreements cover the current fiscal year, which began July 1. The increase in state spending is more than double the 3.3 percent increase the state agreed to for last fiscal year. The companies have complained about losing hundreds of millions of dollars in Iowa due to reimbursement rates they said were set far below their costs when the shift to private management began in 2016. AmeriHealth Caritas, bailed out of the project last fall after failing to get the contract terms it sought from Iowa officials. Hubbell said Iowans are becoming dissatisfied with Medicaid management by the two MCOs. WEST MEMPHIS, Ark. — Work, or lose your health insurance — that’s an ultimatum given to Arkansans on Medicaid this summer. That’s not unreasonable, some say. “If people are sitting at home, wanting insurance for nothing, and they can work, they can help society, man, get up,” says one Arkansan. But Jacqueline Cannon at the Good Neighbor Love Center in West Memphis, which provides groceries to needy residents, points out that many of the people who come through her doors aren’t in a position to do that. “You have some people that can’t work, and they still don’t have Medicaid, you know. 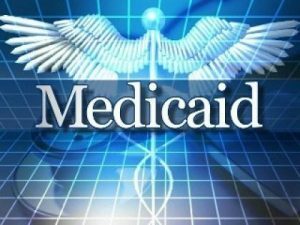 Some are not receiving any type of assistance no more than Medicaid, and if you cut it out, then they won’t have anything,” she said.